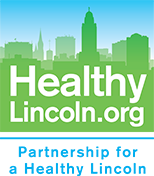 Partnership for a Healthy Lincoln (HealthyLincoln.org) is a non-profit organization dedicated to improving the health, wellness, and fitness of communities, thousands of people at a time. We collaborate with other organizations on joint projects to improve health by increasing physical fitness, promoting good nutrition, and supporting breastfeeding. We partner with clinics and healthcare providers to better patient health outcomes through improving processes for outreach, preventative care, and chronic disease management. In this video, PHL President Dr. Bob Rauner, explains how Partnership for a Healthy Lincoln was formed and how we partner with other community organizations for expanded collective impact. We initiate and also partner with others on projects to benefit the community’s health. We work with existing private and public organizations to cooperate and share resources increasing the reach and effectiveness of our common health goals. We invest in and nurture high value health and wellness projects until they are self-sustaining. We assess community health needs, develop responses and partner with effective organizations to deliver them. We nurture these projects until they can sustain themselves. 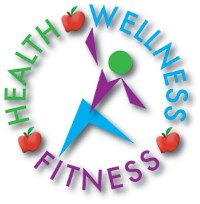 We facilitate wellness change. We work to effect sound, evidence-based health and wellness policies through community legislation, and through school, healthcare provider, community organization, and workplace practices. We work to decrease the community cost impact from obesity-related chronic diseases through nutrition, fitness, and wellness advocacy in school, childcare, healthcare provider, workplace, and community center environments. We work to increase life expectancy. We collaborate with healthcare professionals to prevent and detect cancer in it's earliest stages by advocating for and facilitating early and consistent cancer screening. We also work with healthcare professionals and the public school system to increase HPV vaccination rates. We evaluate. We help organizations prioritize and gauge the success of their health initiative efforts, to reach the best possible community health outcomes. We engage the community. Through public events and programs, we initiate and work with our partners to actively involve our community in health, wellness, and fitness activities.